Do you know GHS and CLP? 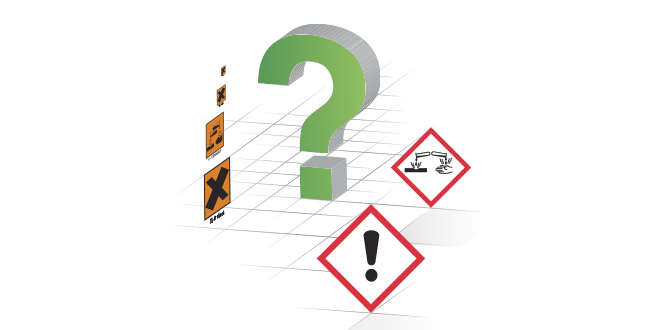 This system allows each country in the world that adopts it to use the same criteria and the same hazard symbols to describe the dangers of a chemical product. 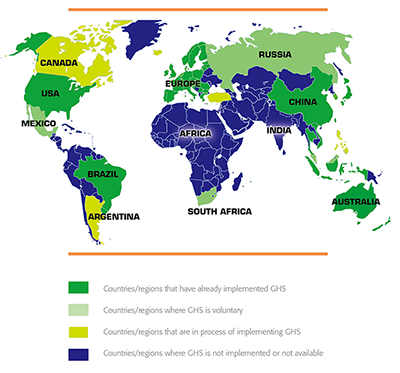 The first publication of GHS took place in 2003 and it is subject to revision every 2 years. What is the CLP regulation? The CLP regulation (Classification, Labelling and Packaging of chemicals) is the European application of the UN’s GHS. It makes this new system of labelling mandatory within the European Union, and since 1 June 2015 replaces the previous European directives relating to the classification and labelling of chemical products. What are the dates of application? 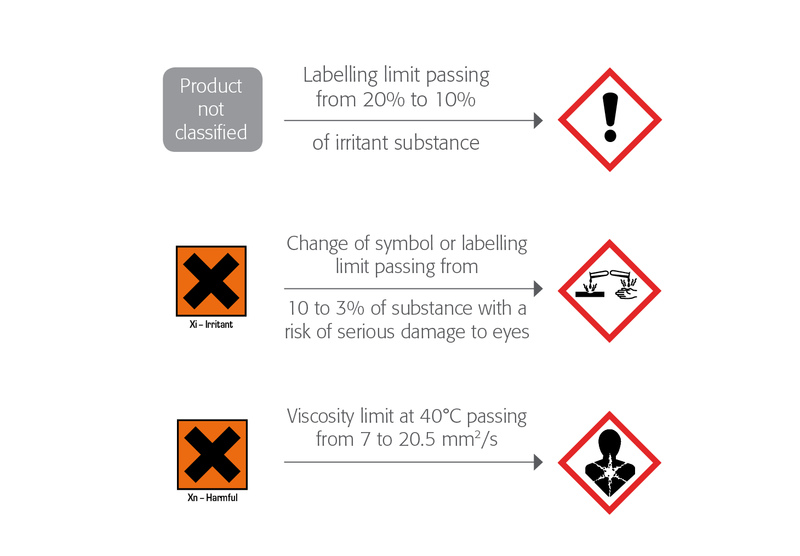 On product labels, new mentions of hazards (H phrases) and precautionary statements (P phrases) have replaced the old R&S phrases and specify the hazard and the precautions to take when handling the product. What is the impact on European Safety Data Sheets (SDSs)? With the arrival of CLP, the SDSs have had to evolve. They must have double labelling for the hazardous substances mentioned in section 3: the R phrases of the current regulations and the hazard category + H phrases of the CLP regulation. 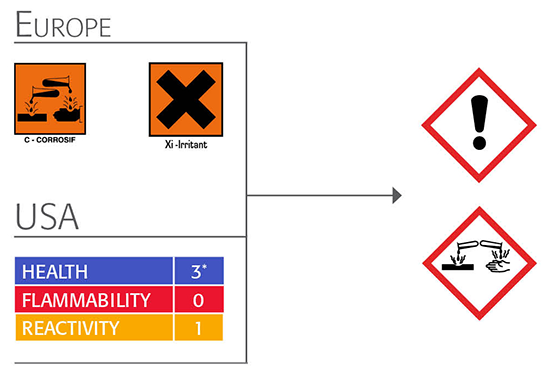 Until 1 June 2015, for mixtures still labelled according to the old directive, it will be this label with orange pictogram(s) / R phrases that will be mentioned in section 2 of the SDS. And for those already labelled under CLP/GHS its will be the CLP/GHS version of the label. This is the case, for example, for certain of our products that are substances at 100% and for our wire-drawing soaps. As from 1 June 2015, only CLP/GHS labelling will be mentioned. CONDAT group has already worked over several years to put GHS in place, so as to supply customers with products that comply with these new classification and labelling rules. The labelling of products leaving for China has been effective since December 2011. Those leaving for Korea, since July 2013. The final deadline was 1 June 2015, concerning in particular Europe, the USA and Brazil. To learn more, do not hesitate to consult our other documentation and our useful links or contact us.